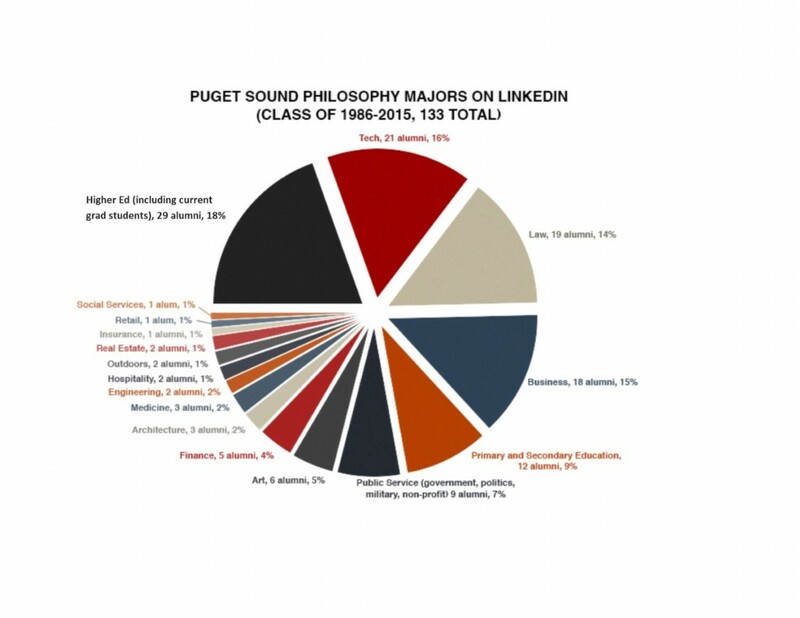 Home Academics Departments & Programs Undergraduate Programs Philosophy What Can You Do with a Philosophy Degree? 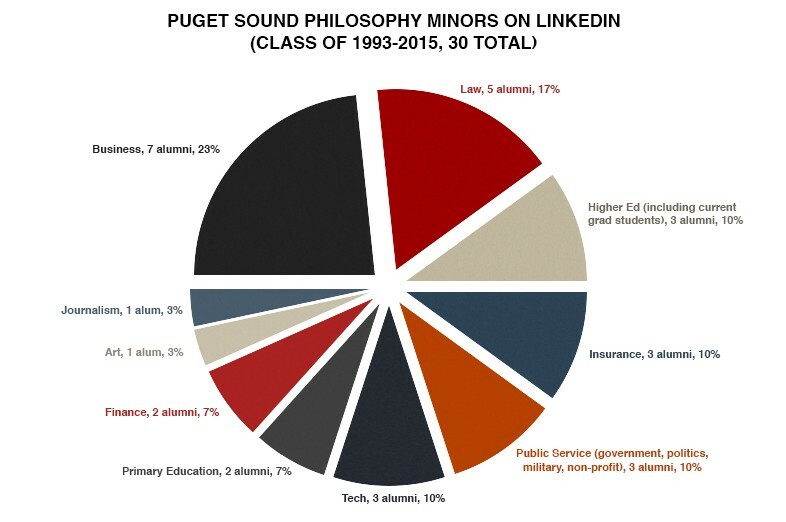 Philosophy majors are well-prepared to pursue a wide variety of career interests. That's because studying philosophy teaches you how to think critically, how to write clearly, and how to reason effectively. Of course, the best reason to study philosophy is that it is inherently fascinating. 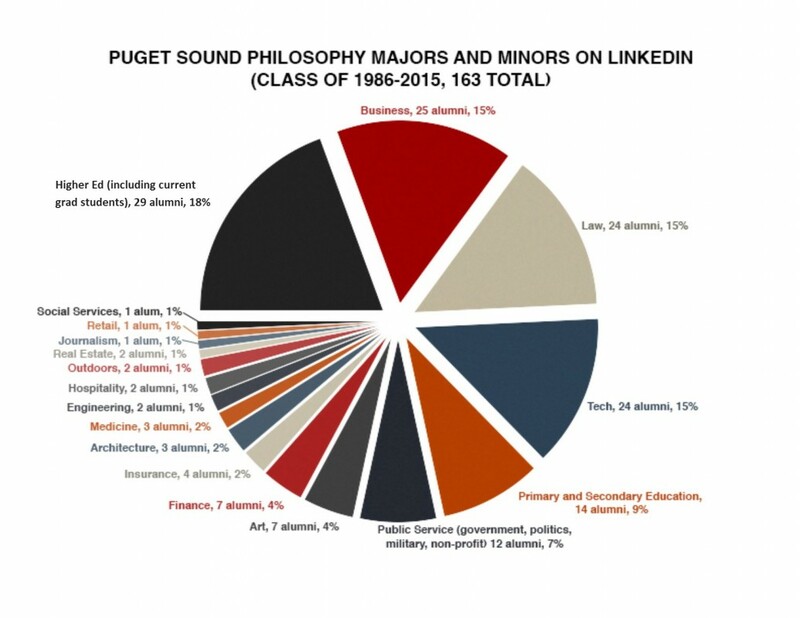 But philosophy majors also do exceptionally well after graduation. That philosophy is impractical is a myth. 18% went into higher education, either as graduate students or as employees (often one prior to the other), and 9% went into primary and secondary education. 45% went into either law, business, or technology (15% into each). o And, of course, with their rigorous training in formal logic, philosophy students make natural fits into technology fields. 7% went into some kind of public service, whether that means government, politics, military, or non-profit work. The other 21% went into a range of fields, including art, finance, insurance, architecture, medicine, and more! Want to learn more about our alumni? Check out our Alumni Profiles! 4 “Profile of Graduate Management Admissions Test Candidates, 1999-00, 2000-01, 2001-02, 20002-03, 2003-04, Five Year Summary”, Graduate Management Admissions Council: pp. 28-33.